Folks wanting days without bonging clocks, ringing telephones, and routine television, find no pressured schedule at Shady Grove. The Farmhouse, Way Station, and Battelle Cottage offer accommodations for families and/or large groups.Atop Lookout Mountain, 800 acres of forest trails, waterfalls and streams. 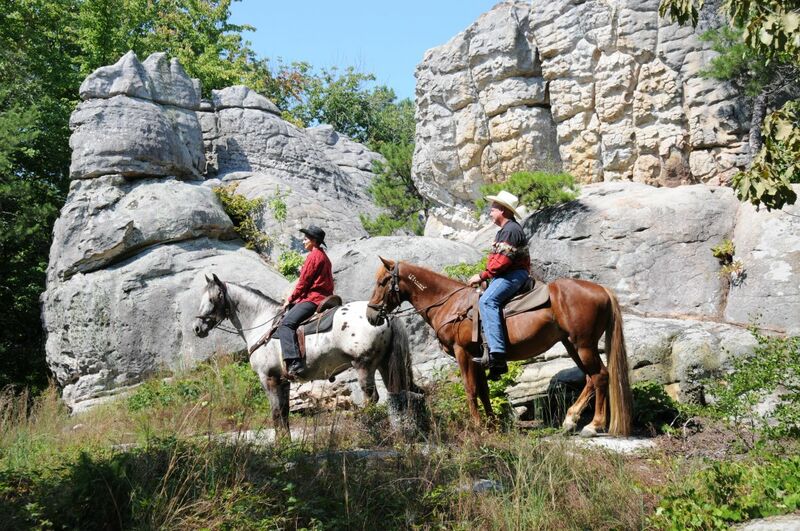 Home to Alabama’s only snow ski resort, Shady Grove Dude Ranch, daily trail rides, and the 9-hole/18 tees Saddle Rock Executive Golf Course (par 31, 2,181 yards). Open year-round. Variety of lodging.